Alamance Insurance Company is a Burlington, North Carolina insurance provider and part of a larger organization made up of two contract carriers named Burlington Insurance Group and Guilford Specialty Group. 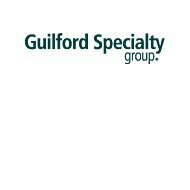 Of the two contract carriers, Guilford Specialty Group handles larger projects that are either too big, or beyond the scope of, Burlington Insurance Group. Alamance Insurance Company operates as part of this group and underwrites policies for both contract providers. If you want to see side-by-side health insurance rates for carriers in your area, just enter your zip code below! Because Alamance and both contract companies provide service only to commercial entities and nonprofits, it is also assumed that if they utilize a network of local agencies that network is probably limited in number. It is unclear what services, if any, these companies provide outside of North Carolina. The best way to glean this information would be to contact Burlington directly using the information provided above. If the company does not use local agents, they are practicing a direct-to-customer model. This type of business sells policies directly to clients as a means of reducing costs and avoiding the hassles that come with local agents. This model is not necessarily as personable as using independent agents, but it is highly effective. The Burlington Insurance Group website is very limited in the amount of information it provides, including the area of claims service. In fact, they do not even provide a link instructing customers how to make a claim. This is probably due to the fact that most of their insurances are sold on a contract basis rather than at the retail level, so customers will have a dedicated representative at the corporate office who handles their account completely. If this is true, making a claim would begin by contacting your individual representative. That individual may be different if you have multiple policies with Alamance, Burlington, and Guilford. Your representative will take the details of your claim, file the paperwork, and follow through until the process is complete. If your claim is denied for any reason, your representative should be able to give you a written explanation. Financial reviews from AM Best show all three companies with excellent ratings of A+. The companies are on firm financial footing with the ability to pay all claims and meet current short-term obligations. The long-term outlook is stable, meaning they have good potential for growth and enough projected revenue to meet future obligations. The latest ratings from AM Best were affirmed on June 8, 2011. The most recent financial summary for Alamance Insurance Company indicates the company lists total assets of approximately $421 million, a policy of surplus of $266 million, and working capital of $3.5 million. There is no indication of whether or not this financial summary applies only to Alamance, or perhaps to all three companies. Customer reviews for Alamance Insurance Company are scant to say the least. This is not necessarily a poor reflection on the company; rather, because they are a contract insurance provider, they do not provide the types of insurances that generally garner reviews. Insurance providers who do receive ample customer reviews tend to sell policies at the retail level rather than the commercial level. Since Alamance does not deal at retail level, one would not expect a long list of customer reviews. Another unique aspect of Alamance Insurance Company lies in the fact that they do not publish career opportunities on the company website. Perhaps Alamance, Burlington, and Guilford solicit job applications through employment specific websites. They also may advertise openings in trade publications and on trade-related websites. If you are interested in submitting a resume and cover letter to Alamance, the company does provide a contact form on the Burlington Insurance website where that can be done. There is no guarantee that your resume will make it to the proper HR department, but it is worth a try. You can also contact the company directly using the telephone numbers listed above. Online health insurance quotes can be yours right now if you enter your zip code below!